Various surveys conducted by Charles Shwab point to the fact that Millennials in their 30s and 40s are currently at an economic disadvantage compared to older generations. Despite this, they seem to be more optimistic about the future. 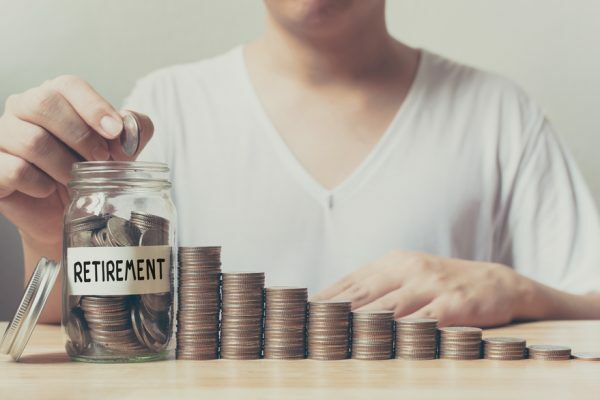 Out of 500 contributors to the defined contribution pension plan known as a “401(k)”, 64% of Millennials reported being “confident in the judgment of pension asset management”. However, the percentages of Generation X (born 1960-1970) and Baby Boomers (born 1946-1964) who felt the same were 47% and 39% respectively. These numbers show that the older one becomes, the less confident one feels in their pension plan. As a result of rising tuition fees, the younger generation has been said to have the largest loans of any generation, ($1.3 trillion) so their confidence in their retirement funds is unexpected. The surveys also showed that Millennials are reluctant to invest in the stock market. In a survey conducted by Schwab’s pension plan service department in 2016, out of the 1,000 people surveyed, the largest cause of economic unrest for all age groups (25-70 years old) was “retirement savings” (40%). This was almost double that of other factors such as “employment security ” (24%), the “repayment of credit card debt” (21%) and “monthly expenditures” (20%). In a 2017 survey, 86% of the Millennials surveyed strongly felt that a 401(k) plan was necessary. The Baby Boomers and Generation X surveyed also felt that a “401 (k) plan” was necessary, but did not hold the same attachment to it as Millennials. The difference in opinions is believed to be rooted in the differences in inter-generational economic strengths. Many Millennials do not yet have households or families of their own and consider a “401 (k) plan” as their sole source of income after retirement. In contrast, the number of people from older generations who have households and families, as well as pension plans is high. In other words, because people from older generations have more economic power than their Millennial counterparts, their economic concerns can be interpreted as being smaller than those of the Millennial generation. In fact, one-third (35%) of Millennials reported that their “economic concerns are reflected in their job performance”, a much higher percentage than that of the Baby Boomers (24%) and the Generation X.(11%). 24% cited the “repayment of school loans” as a cause of economic stress and 80% reported “not having been late on rent and utility payments” with “some money leftover each month”. This demonstrates a good ability to manage money. Millennials scored the highest percentage (34%) when it comes to investing excess money into “retirement plans” such as the “401(k)”. This was four times that of the Baby Boomers and 1.4 times that of Generation X (8%). Even among Millennials, the way in which they think about retirement savings seems to differ by gender. One of Schwab’s studies that focused on 288 individuals aged 25-35 showed that 46% of men and 70% of women were “very concerned about whether they would have a sufficient amount of money for their retirement”. When asked whether “health is more important than retirement savings”, 54% of males and 30% of females said yes, showing a large gap between the genders. In actuality, 55% of men and 42% women reported being confident that “they are saving enough money for their retirement”. In regards to asset management options such as the “401(k) plan”, many women felt a high level of stress as a result of having to operate the plan themselves (42%). The proportion of women (79%) who were seeking a “simpler method” was much higher than that of men (59%). Are Millennials Reluctant to Invest in Assets other than Retirement Funds? Millennials are sensible and proactive when it comes to retirement savings, but cautious when it comes to asset management strategies, with the exception of pension plans. In a survey conducted by Wells Fargo in 2017, 53% of Millennials reported that they were “not confident investing in the stock market” and 20% said that they “did not feel that they would do so in the future”. Other surveys have corroborated this trend. Many of them also lack interest in making ordinary investments, having “witnessed a previous economic crisis during a highly sensitive phase of their lives.” This was also shown by a survey by Wells Fargo in which 41% of Millennial respondents reported that “trauma from a previous economic crisis resulted in a reduced amount of investment”. John Vaccaro, the managing director of the US-based United Capital Financial Advisors, offered a deep-rooted analysis of why Millennials tend to avoid high-risk investments and favor saving steadily for retirement. “Social pressure to be successful, combined with the financial pressures of student loan debt and low salaries” have completely stolen the confidence away from the young generation “(US news). If Vaccaro’s theory is correct, it is also conceivable that robotic advisors will be popular among Millennials. A system in which a robotic advisor provides low-cost portfolios that are optimized for individuals would make even unsure Millennials want to have a go at investing. As far as the results of the surveys are concerned, differences in economic strength among the generations are the cause of their contrasting financial literacy.